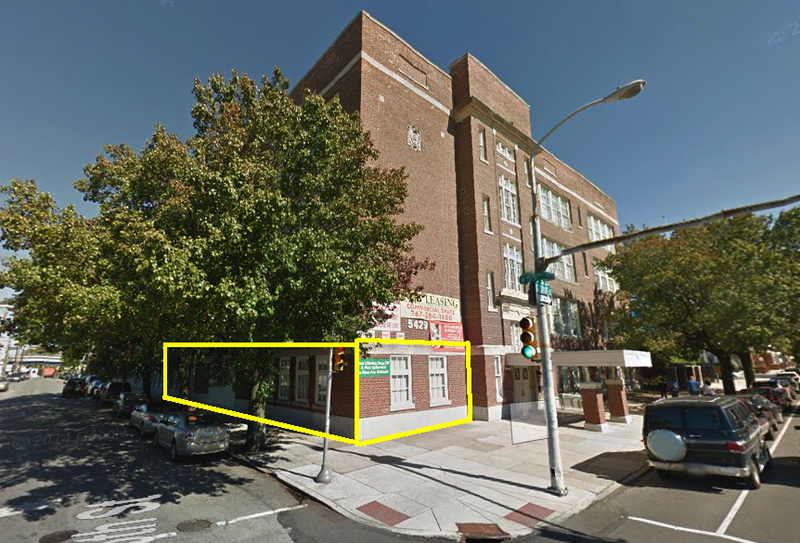 5429-55 Chestnut Street — Corporate Realty Partners & Co., Inc.
Area: Suite G-26: 1,728 +/- Sq. 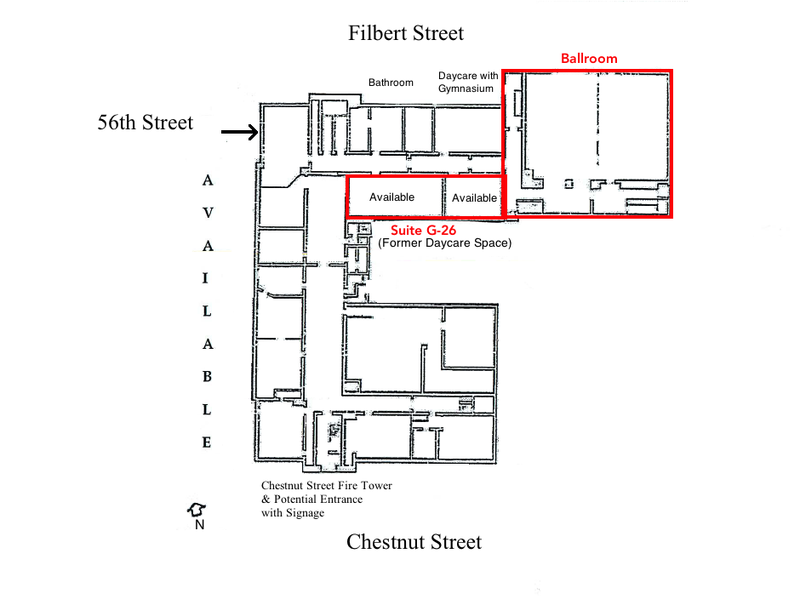 ft.
Ballroom: 5,000 +/- Sq. Ft.
C.R.P. & Co. Inc. is pleased to announce the availability of approximately 6,400 sq. ft., which is divisible as follows: 1,656 sq. ft., 1,728 sq. ft. and 2,640 sq. ft. of fully built-out + improved office & program space, originally fitted out for the Consortium, a local mental health provider, and a local daycare operator. The spaces are available either combined and/or individually and are separated by a common hallway. The larger space offers multiple offices, support areas and breakout rooms. The smaller spaces offer larger open areas ideal for group rooms and daycare and can be subdivided. The Subject Property is at grade and is ADA Accessible, potentially with street signage visibility.